Being historically rich it has attained a title of “cultural capital” of the state witnessing a significant number of social and cultural events in the city. Various food festivals, cultural and social events that are held here give you a fair glimpse of the varied offerings of the different regions of Maharashtra. One such annual event held in Pune, that has achieved a great prominence on the culinary landscape of the city is ‘BhimThadi Jatra’. Jatra meaning a fair or bazaar has hundreds of live counters featuring lip smacking food items from various parts of Maharashtra. 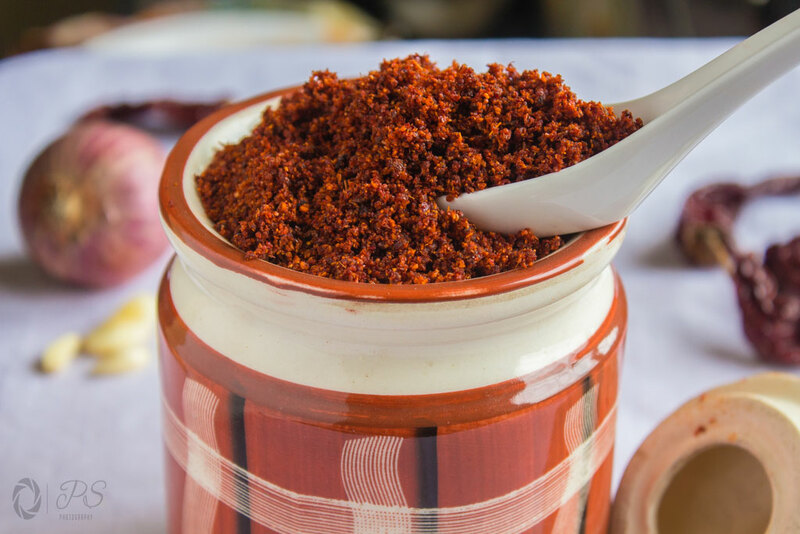 There are stalls selling spice mixes (masalas) from various parts of Maharashtra like Goda Masala, Kanda Lasun Masala, Khandeshi Masala, Fish Masala and several other such prized concoction of Indian spices that are such an integral part of regional cuisine. It is virtually a foodie’s paradise. How else can you describe a place that offers endless choices catering to a foodie’s palate-all under one roof? We were delighted beyond words when we stepped into that arena first time and have been visiting the place year after year with the similar excitement and thrill. We also take some time out to visit the stalls selling masalas giving easy access to these secret concoctions which are difficult to procure otherwise. On one such visit, we purchased Kolhapuri Kanda Lasun Masala and Jwari Mirchi powder- two of the most significant offerings from Kolhapur cuisine. These flavorful spice powders have since become a significant part of my pantry stock and I often use them in many Kolhapuri recipes. I have used it so very often in my recipes like Tambda rassa, Kala rassa and vegetarian delights like Kolhapuri Misal. When my stocks of Kanda Lasun Masala were exhausted and needed replenishment, I had to look out for some recipes that can demonstrate how to make this spice blend at home and I am glad that I found one. I came across this recipe in a book titled – ‘Rare Gems: A Non-vegetarian Gourmet Collection from Maharashtra’ by Aditya Mehendale. Besides documenting several gem of a recipes author has painstakingly documented various masalas that originate from culinary scenery of Maharashtra. 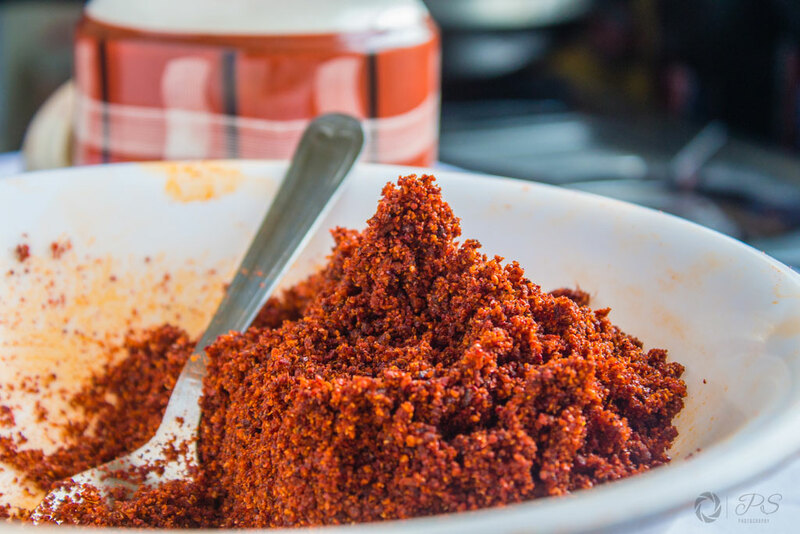 I was thrilled at the prospect of making Kanda Lasun Masala at home and post laborious process of roasting, frying, grinding and mixing I had most flavorful Kanda Lasun masala. I can say with all my conviction, though the process may be laborious and long, that the end product is such a satisfying feeling. The homemade spice blend is far superior in quality than the store bought products. The recipe makes approximately 500 grams of Kanda Lasun Masala and can be modified accordingly to increase or decrease the quantity. It must be stored in an air tight container for best results. Roast Kashmiri chilies in batches. Dry roast the remaining ingredients in a pan.Roast bay leaf until it gets slightly brown,cumin seeds,Black cumin seeds,Whole coriander seeds,White sesame seeds.Allow the dry roasted spices to cool down. Let's start frying the ingredients. For frying the ingredients, heat 2-3 tbsp cooking oil in a pan.Add desiccated dried coconut to pan.Roast until it gets golden brown.Remove roasted coconut from the pan. Heat 2-3 tsp oil in a pan.Add cloves and fry. Fry Star anise,black peppercorn,Dried Lichen,Cassia Buds.Add black cardamom.Crack open black cardamom before frying.Now add asafoetida and turn off the heat. Allow fried spices to cool down and fry onions and garlic. Heat 2-3 tbsp oil in a pan.Fry garlic until it turns light brown.Now add grated ginger.Fry onions in batches until it turns golden brown in color.Allow fried onions, garlic and ginger to cool down. Mix all the spice mixture.Mix well. Kanda Lasun Masala is ready.Total quantity: 500 grams(approx). 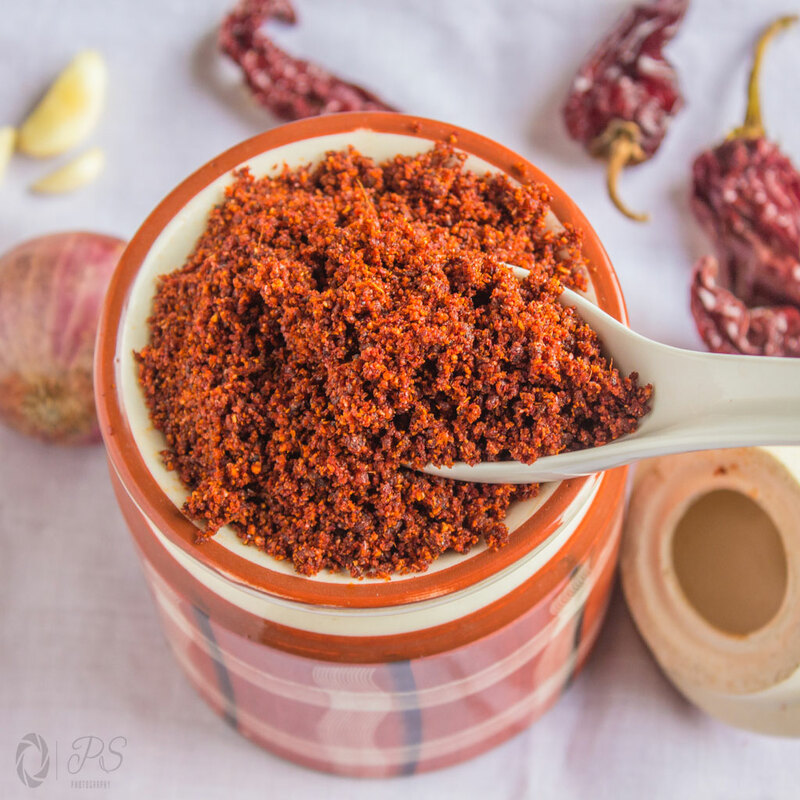 Kanda Lasun Masala is a secret of delicious Kolhapuri recipes. Can be used in making Tambda rassa, Kala rassa. Kanda Lasun Masala is an essential ingredient for Kolhapuri Misal. Hi Thank you for the recipe. I also heard of kolhapuri kanda lasun chutney. Could you kindly explain the difference between this masala and chutney, please? Thank you. Thanks Sujata for stopping by and posting your query! Kanda Lasun chutney is nothing but the basic kanda lasun masala , mixed with warm oil or ghee and eaten with jowar bhakari. Sometimes you can add dry roasted peanuts, crushed and mixed with it to tone down the spiciness. I hope it resolves your query . Keep reading, enjoy cooking! I hope to make this kanda lasun recipe today. Is there no cinnamon to be added to it ? Thanks Rachna for stopping by and really sorry for a delayed response! Due to Ganeshotsav could not provide reply on time! Well adding cinnamon does not spoil the taste of masala, however just sharing my thought on this . 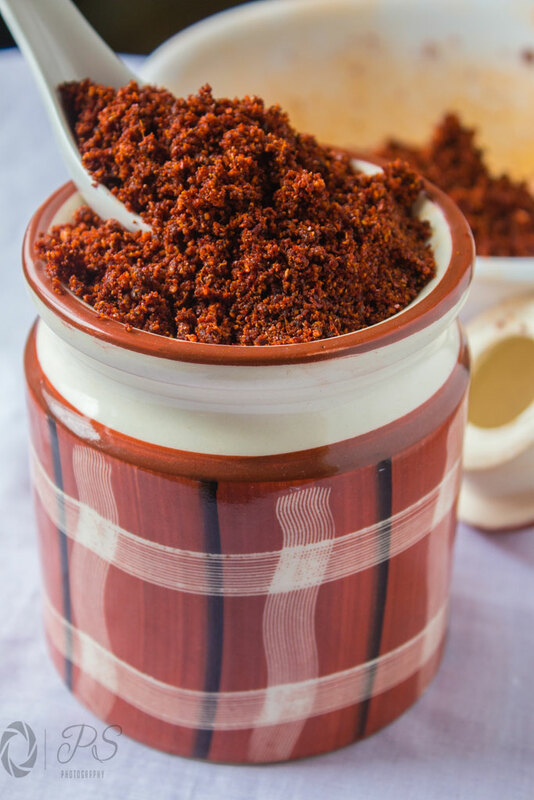 Kanda lasun masala is fiery red spice blend that add zesty flavour to the kolhapuri dishes and also the body due to its thickness. Cinnamon is considered to be sweet spice what is called as ” Dessert Spice” in Indian culinary terms. But as I mentioned earlier, there is no strict rules on making this masala recipe. If you love the aroma and flavour of cinnamon to be incorporated in your dishes please add cinnamon and also share your experience with us! We love to hear back from you ! Happy reading, enjoy cooking!